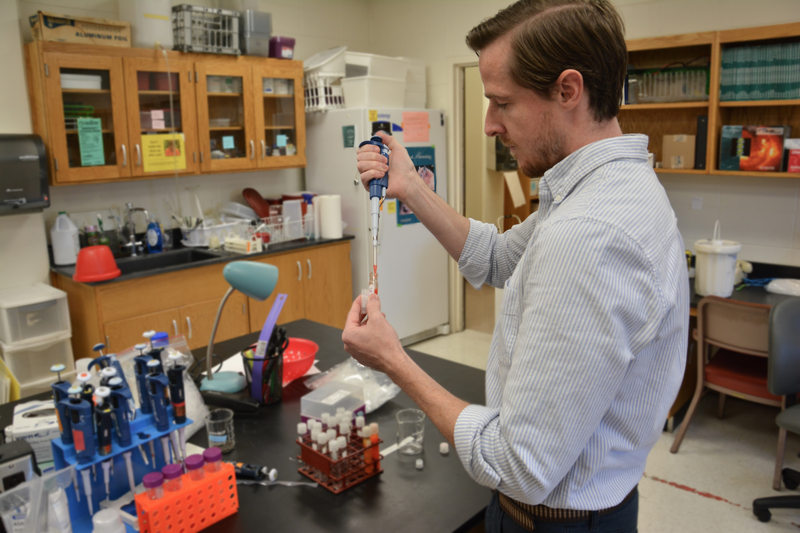 Ryan Weaver, a doctoral candidate in biological sciences, led a team of Auburn University and Universidade de São Paulo scientists in a project where they turned a class assignment into a published research article. The research, published in Nature Communications, demonstrates that when it comes to bird feathers, beauty isn’t just skin deep. Weaver took up the challenge of exploring the relationship between pigment conversion and bird quality as part of an assignment in a graduate-level course that required students to hone meta-analytic techniques learned in class. The research results yielded a pattern: Weaver discovered birds that converted carotenoids were more likely to be of higher quality than birds that skipped the conversion step and deposited only dietary yellow carotenoids to their feathers. Taking the results a step further to ensure the pattern was indeed a result of carotenoid conversion and not a deeply rooted evolutionary or biological factor, Weaver enlisted the help of Eduardo Santos, professor at the Universidade de São Paulo and co-author on the study, to develop statistical models that incorporated the evolutionary history of all the birds included in the study as a means of isolating the effect of carotenoid conversion. 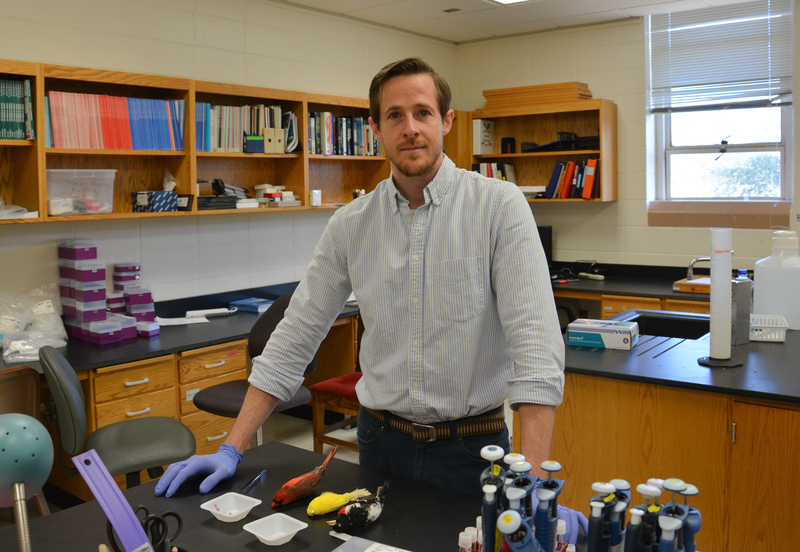 In addition to Weaver, Hill and Santos, additional co-authors on the study include Anna Tucker, a graduate student in the School of Forestry and Wildlife Sciences, and Alan Wilson, professor in the School of Fisheries, Aquaculture and Aquatic Sciences, who taught the graduate-level class that inspired the project. For more information, contact Weaver at rjw0019@auburn.edu. 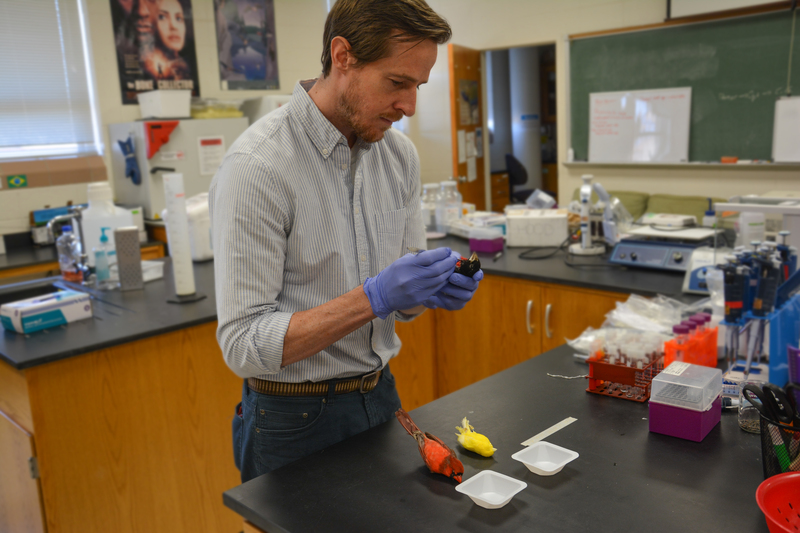 Weaver explores the relationship between pigment conversion and bird quality. Weaver discovered birds that converted carotenoids were more likely to be of higher quality than birds that skipped the conversion step and deposited only dietary yellow carotenoids to their feathers.